Engility will provide software and networking support to the U.S. Navy‘s tactical afloat network under an 18-month, $16 million task order extension from the Space and Naval Warfare Systems Atlantic. The company said Thursday it will help the service branch manage data, transport, voice and video services, systems and cybersecurity of the Consolidated Afloat Networks and Enterprise Services program. Engility will also support command, control, communications and computer readiness assessments, system grooms and other associated fleet service missions under the task order. 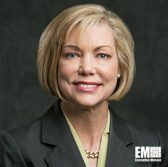 Lynn Dugle, Engility CEO, said the company will continue to provide domain expertise intended to help the Navy integrate the branch’s tactical afloat networks into cyber warfare missions. “Ensuring that our Naval infrastructure is managed and integrated properly is a critical mission and we look forward to continuing this specialized support,” Dugle added.